Flo Coat® finish is preferred over any other finish because of its consistency and smoothness. Any other process will leave zinc chips or dust on the product. 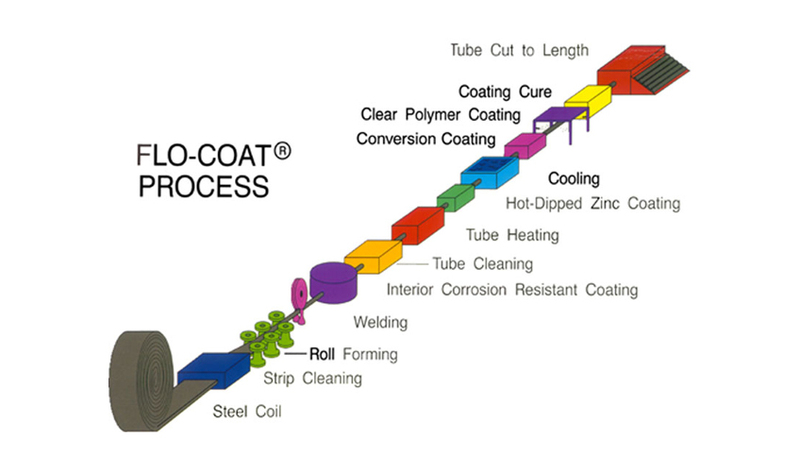 Allied's Flo-Coat is recognized as the preferred product in the entire industry. Many engineering firms and customers will spec only Flo-Coat. Only welded steel tubing made in the US with inside diameter (id) control which gives consistent press fit of bearings or inserts. Bearing manufactures will make bearings just to fit our tube. Ends are clean cut so that every piece can be used "as is" right out of the bundle. Trimming the end is timely and waste tubing. All sizes are available in a non-zinc coated finish for these applications where zinc would be detrimental to the application being carried by the system. All other merits of the tubing are consistent through the Flo-Coat (id control, etc.). 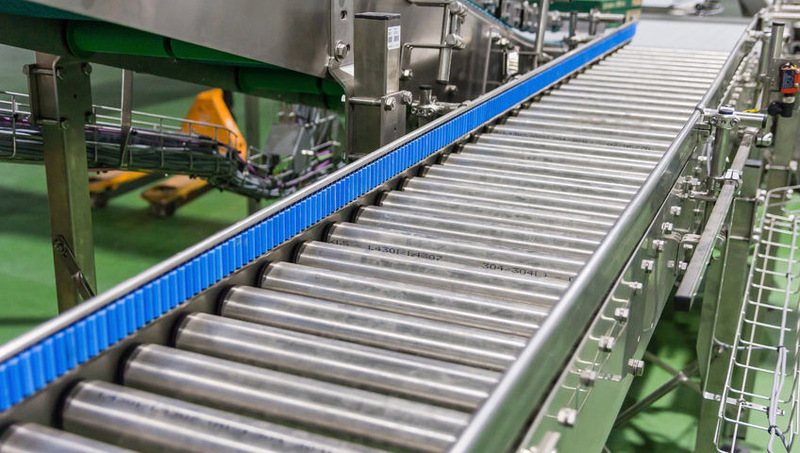 The clothing or garment industry requires Flo-Coat so the zinc does not flake off and stain clothing in the process of moving into the stores. Since there is no oil on the surface there is no concern for drips either. The clear coatings over the zinc actually ease the moving of hangers along the rails. Inside corrosion protection keeps rust from forming and possibly dripping onto clothing or products. 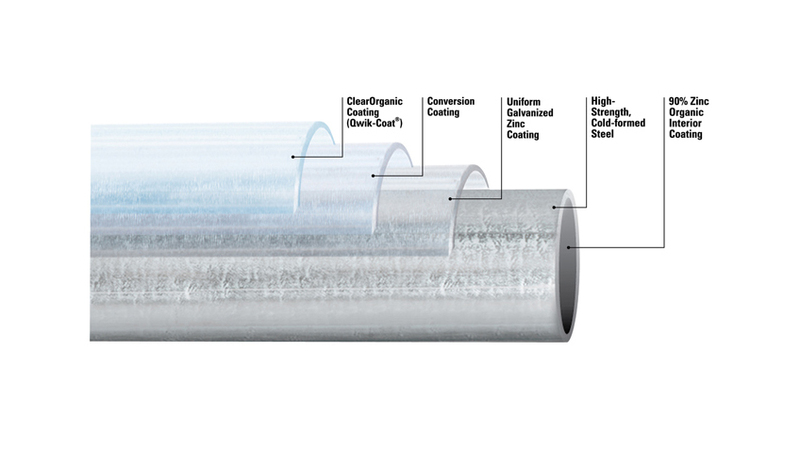 Higher mechanical properties allow for thinner walled tubing to be used for heavy load applications. All domestic materials with certifications available. The only 100% recyclable zinc coated steel tube manufactured in the world. Complete size range available in 1/2" thru 5" round, squares and rectangles up to 4". Need help determining your size tube see the tube chart. National distribution so even jobs across the country can still be delivered out of stock.